Shwmae/hello! – My name is Lee Jones and I’m head of HMRC’s Welsh Language Unit, working in our brand new digital centre in Cardiff. In 1993, the Welsh Language Act came into being. This established the principle that the Welsh and English languages should be treated on an equal basis within Wales and that government departments like HMRC should deliver their services in Welsh. HMRC employs me and my team to provide translations and practical advice on Welsh language service delivery. We support anything from front line customer services to all our digital offerings in Welsh. 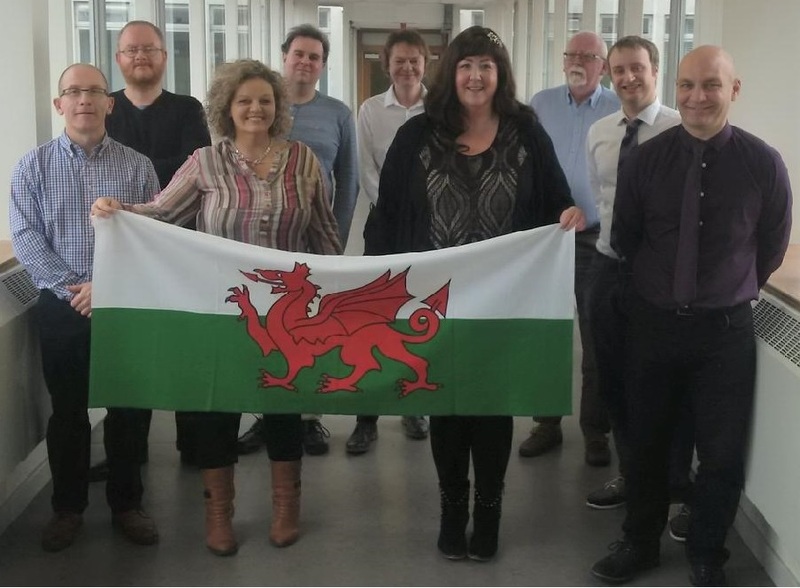 As HMRC is a big organisation, with many offices across the UK delivering services in Wales, I advise on the ‘when and how’ of translation and what our customers want in Welsh. The majority of the work we end up translating is for online content in some way – web pages or forms. Around 20 percent of the population in Wales speak Welsh, but this varies significantly depending on location. For example, North Wales has up to 80 percent Welsh speakers. Our signs and place names are all bilingual and this causes a lot of interest for the uninitiated visitor, not to mention some very interesting pronunciations! We also have the second longest place name in the world – Llanfairpwllgwyngyllgogerychwyrndrobwllllantysiliogogogoch. Now you say it! Last year we had around 16,000 customers who wanted a full Welsh language service, received approximately 21,000 calls in Welsh, issued over 20,000 letters in Welsh and translated over 1 million words into Welsh. It’s so great to work in a team where you know that you can support our customers to use the language they feel the most comfortable with. We are currently looking to increase our Welsh language translation services and are recruiting more translators. If you are a fluent Welsh speaker and translator and have an interest in joining a small, passionate team that has the customer at the heart of everything we do then we’d love to hear from you.